It's Earth Week! Which, as you might imagine, is a pretty exciting time in my neck of the woods. It's a good time for all of us to look at our own impact, and I love seeing people come up with great ideas of how to celebrate the day in a positive way for the environment (let's plant some trees, peeps!). One of the ways we can do this is reconsidering how we shop and what we buy. It all comes down to how you spend your money. In America, most of us shop. And the shopping is closely tied to our time, our interests, and our identity. We gauge our success by how much we have, and stores try to produce and feed a constant hunger for stuff, especially for brand new stuff. You need the off the shoulder dress. Your child needs that new toy all their friends have. You need the best phone. It just goes on and on and it never stops. But, no matter who you are, you can start taking baby steps out of this cycle. The more of us do it, no matter what our walk of life, the more we can make our own lives and the planet better. 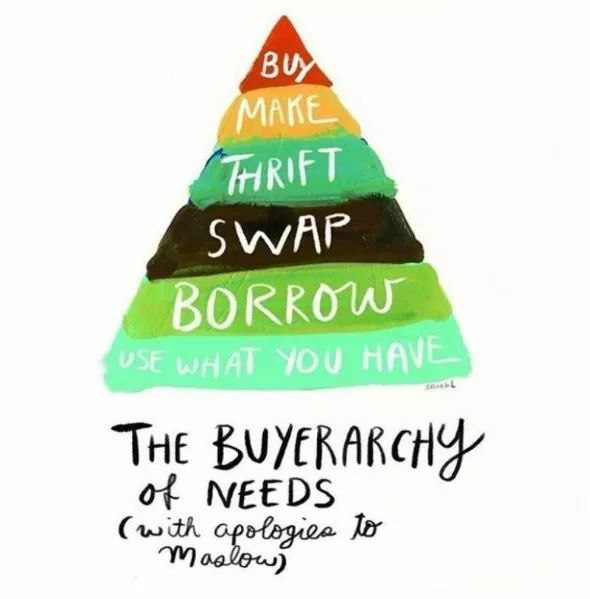 We just need to buy different- buy less, buy used, buy recycled, and buy as local as possible. 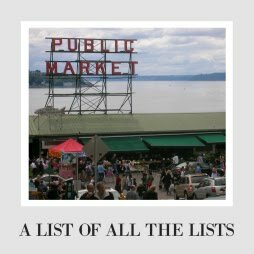 For the record, these links are mostly Amazon, because I am an affiliate there and because it's easy, but I highly recommend you find these brands where you are when you can. Also, excuse the sometimes ugly pictures, I am just showing we actually use these items every day. So, what are my favorites out there? Which things have we bought that we would never go back on? If you only buy one green thing in your life, let it be a reusable water bottle. No more single use water bottles! We have a couple, but my favorite are the ones that aren't plastic- our lifefactory glass bottle and our liberty bottleworks ceramic and metal bottle. Both manufacture (lifefactory only in part) in the US, and they don't taste funny like metal or plastic can sometimes. 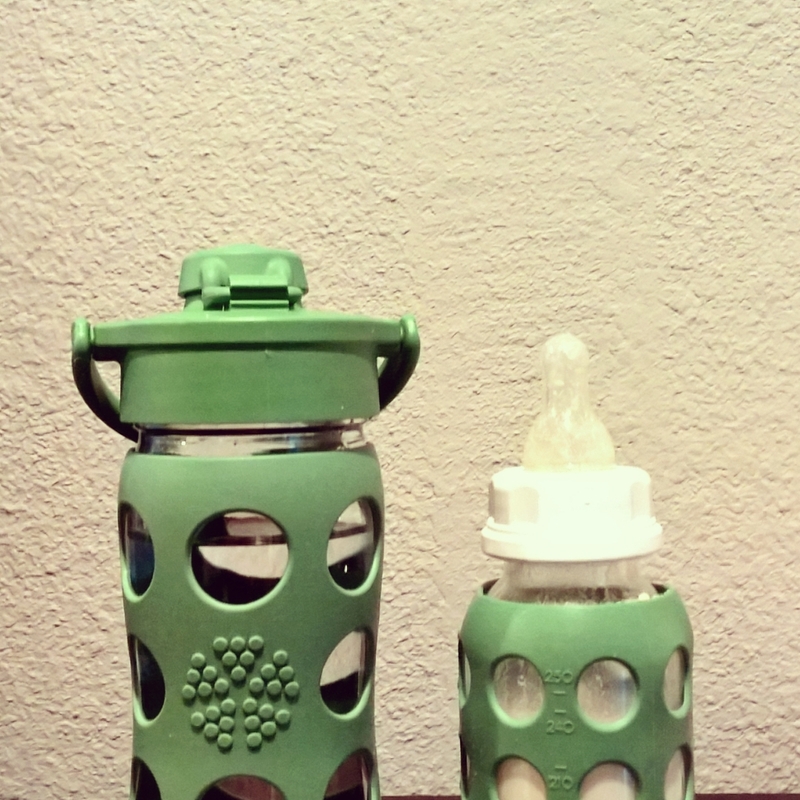 As a bonus, Lifefactory makes the best baby bottles. I would recommend glass bottles to all parents- we know that plastic can mess with adult hormones, so it may have an even more profound effect on babies. Glass is a bigger investment upfront, but you never have to replace them, and you can pass them on basically forever. Plastic bottles don't last very long before they aren't safe. If you have a baby on the way, glass is worth it. These toothbrushes are made of recycled food safe plastic and it is completely recyclable in their mail back system. 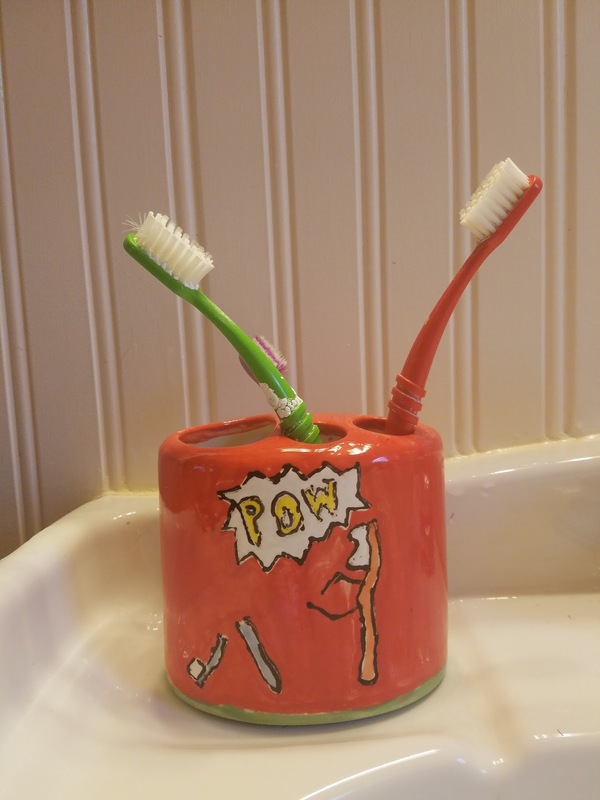 I admire this company, who also makes kitchen goods, and their toothbrushes work great. They also make you wonder why all toothbrushes aren't made of food-safe plastic (seriously, what have we all been putting in our mouth?). Nothing too exciting, this whisk is just made in the United States and built for a lifetime of pancakes. Nothing overly fancy, but one of my favorite green purchases. These paper straws still bend, are biodegradable, and give a portion of their proceeds to ocean conservation. Not for everyone, but if you can't do without straws, this might be a great option. Another great option? These glass made in America straws. Etsy furniture made of reclaimed wood makes me feel better about the universe. You can find any piece in any style. We splurged this beautiful island from Herb's Furniture- simple, beautiful, and totally reclaimed wood. We have a growing fleet of Green Toys, mostly given as gifts (thank you to all who gifted them, because we love them oodles). Made in America, out of recycled food-safe plastic, in recycled packaging- truly, my love for these toys can't be fully put into words. More importantly, our kids love them too. Also Awesome- RePlay makes all the sippy cup, kid forks, and plates. All in the US. All recycled. They sell them in Walmart, so no one has an excuse. We love the snack stack, which is the perfect size and super hearty to stand up to diaper bag madness. I love everything from this Minnesota company- especially their cutting boards which can be made of wood composite or recycled plastic (14 milk jugs per board). If you haven't yet, also check out their turners. All kinds of awesome, local, and sustainable. The name is terrible, but the 86% recycled water bottle pens are no joke. Why aren't we making all of our pens from recycled plastic? Also, they write really smoothly and last a long time. 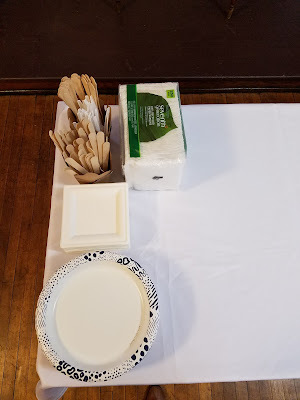 We buy our paper towels, toilet paper, napkins (we use cloth when it is just us and paper for parties) all in large quantities and recycled. We mostly did Seventh Generation (who have since been bought out by a bigger company), but there are plenty of options. I am less attached to the brand than the strategy. Paper Culture's modern and simple cards are made on recycled paper AND they plant a tree for every order. One of my best finds from last year, and a steal if you wait for sales. My new spot for cards. The Bub's beloved Emilie bought him this book for his second birthday. Not only is this book ridiculously cute and personal (and teaching him to spell his name), they are also printed in America on recycled paper. Too cool! Just a paper-wrapped regular bar of soap. But it's olive oil and simplicity has actually done wonders for my face. It is so smooth now! Want to Shop like I Do? In 2 years, I have written hundreds of shopping lists. Everything from stocking stuffers, to toilet paper, to school supplies. I also changed how I shopped and saved literally thousands of dollars (not to mention cut down on our family footprint, minimizing our waste, and made a positive impact on the world) by changing up my strategies. I have a few hints for how to spot something truly great as opposed to greenwashed (jacking up the price because the product is "green"). 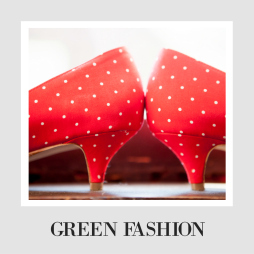 First, in most cases, what you already own is the greenest option. Thinking of a new phone? A new Christmas tree? A new chair? If you can come up with a way to make what you already have work, you are making the greenest possible decision. It is also very often the cheapest (a little super glue to fix a toy r computer is a lot cheaper than a new one). Buy one great gift, not three ok ones. Buy the more expensive appliance if it has proven to last 3 times as long, because it will pay off. Buy one great coat, not four (you know you mostly won't use them anyway). Buy the food you need for this week's menu and USE what you buy before you buy more. It all seems obvious, but it's actually pretty hard to stop those habits. Another easy step? Stop buying things at first glance. We have all gone to target for soap and come out having spent 100 dollars. Keep a list on your phone. If you see something you want, just write it on the list. If you still want it the next time you shop, get it. But let go of impulse buys and live life with a plan. Also, some things can be made. Soaps, detergents, etc can usually be made in bulk for much cheaper and using way less packaging. With food, the more you can make from scratch, the better, and some things (like frosting) really take no time at all. You can often ask for things you need on groups like Buy Nothing or Freecycle. And then you get what you want for free. And you meet a neighbor. It may seem like not much at first, but two years into Buy Nothing, I can say it really adds up. If your neighborhood doesn't have one yet, team up with a friend and start one. It's worth it. If no luck there, you should also try your local consignment stores. Find out what is available- you may have a Habitat for Humanity ReStore for building supplies or cheap antique stores for furniture (why buy a new wood chair ever? There are so many already in the world!) Depending on your stores, most clothing and kitchen goods can be bought secondhand. Go look and be surprised. When you can't find what you want there, check out sites like Thred Up. Shopping secondhand had a lot of stigma around it a generation ago, but now we should know better- secondhand stuff keeps things out of landfills (we can all buy the same plastic-t-ball set, or we can reuse a thousand times over for different kids), it cuts down on waste (a new shirt probably came to the store wrapped in plastic- not so for secondhand clothes), and it usually comes from people nearby, so it uses WAY less fossil fuel to get to you. For everything else, know your priorities. Do you get the recycled plastic or wood option? The bamboo made in China or the plastic made in the US? Compostable plates or wash 100 plates? We could spend a lot of time parsing the exact cost/ benefit in every situation, but the real truth is that it depends what you care most about. But first you have to think about what that even means to you. Do you want to keep your money (and jobs) local? Do you want to be zero-waste? Cut down on fossil fuels at all costs? Once you start to think about this stuff, all shopping becomes a fun challenge not about what you want or like the best, but how you can make the world the best you can. Trust me, that feels better than any deal. If the company is doing something right, they will tell you so. Check the Package. Check the Tag. 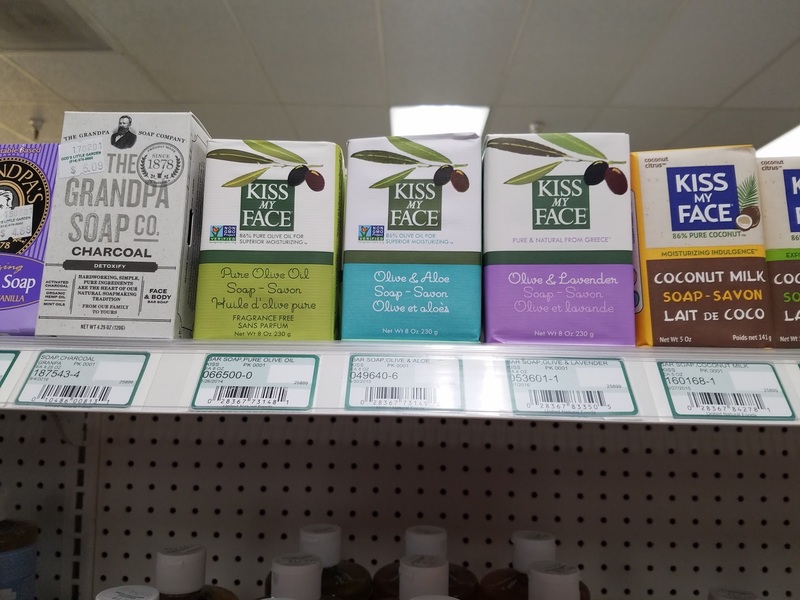 If something was fair trade or made in the US, you will find that information right on it. The less they tell you, the more it is worth being suspicious. The key is to slow down and really look- you will see patterns emerge, and sometimes you can find a better option just by looking. Look out for shifty language. "Designed in" and "Distributed by" are two of my favorites, but companies will do anything to make themselves seem more American, local, or ethical than they actually are. Look at your food. Companies like Kraft have their own address but they won't tell you where your cheese was actually made. If someone came to your house and gave you something but refused to tell you where it came from, would you eat it? Wear it? Let your baby put it in their mouth? You do it every time you shop. Time for a change. If you can get it made near you, do it. Especially when it comes to food (because every region still has food growing nearby). If you can't get it made in your town, look at your state. If you can't get it made in your state, buy it made in America. If you aren't in America, ignore me and check what is available in your country. It helps keep jobs nearby and puts your money to use where you live. It also cuts down on how far your things have traveled, minimizing fossil fuel usage. No, this doesn't necessarily work if only one person does it. But the more people catch on, the less they will have to ship far distances. When all else fails, avoid plastic. Ok, so you need American cheese, but you don't see a good option and you aren't sure what to do. Which cheese can you get that isn't individually wrapped? Which spaghetti sauce comes in a glass jar? Can you get napkins in one bulk package instead of buying them 100 at a time wrapped in plastic? This is the bare minimum you can do, and it is better for you too. More and more studies show that plastics leech unsafe and nasty chemicals into everything in our life. It is going to be the asbestos of our generation and we will all be kicking ourselves, trying to figure out what we were thinking wrapping our food in petrochemicals. Just stop now. You don't have to shop perfectly (goodness knows we don't), but the shift isn't as hard as you think, it is always nice to have a little extra money, and more and more it just feels like a fun challenge. You can do this! Whoa! This was an awesome piece. I'm glad I came upon this because I'm all into the green life. Green toys! Yes! Thank you for sharing these awesome tips! So glad it helped! Thank you!